Noir got interested in electronic music at the early age of 6-7 years old when he was introduced to some of Kraftwerks early 80s work. Being electronically influenced at that early stage in his life it obviously left a hunger for exploring the industry even more when he hit his teens. Noir was very inspired by the late 80s house, techno, acid and rave cultures coming from Chicago, Detroit, New York and especially all that was going on in the UK at that time. Today he still rates guys like Kevin Saunderson, Derrick May & Juan Atkins as some of his biggest inspirations for becoming a dj and producer. Noir's journey as a dj started in 1996 at small venues in Denmark. Today he is a highly respected dj for his unique sets and ability to capture the night and make it special. His busy schedule has led him to play almost everywhere in the world from Paris to Berlin, Shanghai to Miami, Dubai to Moscow, Ibiza to London. When his father sadly died in 1997 Noir inherited a small amount of money and decided to spend that wisely and follow his biggest dream; Being able to buy the equipment and eventually become an electronic music-producer which enabled him to be able to create his own music for the nightclubs. Things didn't happen overnight and after several projects and a whole lot of experience in the bag, Noir got his international breakthrough in 2005 with his classic track "All About House Music" and he hasn't looked back ever since. 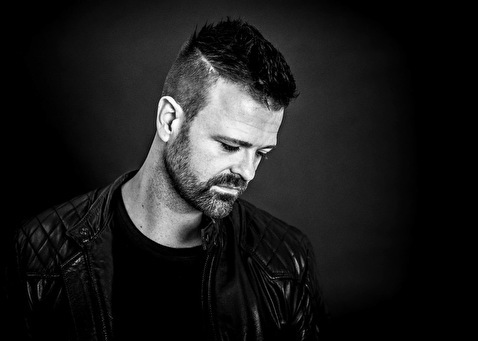 Noir's international breakthrough came (as written in the intro) with the release of "All About House Music" released on Wyze Recordings in 2005 and with the release of "My Mtv" on Toolroom Records 2006 he reached the no. 1 spot on digital outlets such as Beatport, DJ Download and Traxsource. His recent success "Africanism" from 2010 released on Neurotraxx Deluxe hit the number 1 spot on Beatport's deephouse chart (top 3 overall chart) and stayed in the top 10 for more than 4 months making it one of 2010's biggest deephouse productions. Noir's collaboration with singer/songwriter Haze "Around" has been smashing dancefloors across the globe since the summer of 2011 and was at the top of the Beatport charts for more than 6 months. "Around" was one of the top tunes of Sonar, Ibiza and ADE 2011, Pete Tong's Essential New Tune in November 2011 and remains steady on the Beatport & Resident Advisor charts. It is currently still being rotated by virtually every influential DJ on the electronic scene. Solomun and Subb-an's standout remixes of Around took the track to new levels as well, resulting in a re-release on Defected planned in the spring of 2012. It was already in the cards from the beginning as one of Noir's goals in life; to become A&R and label owner of his own, so in April 2007 feeling comfortable as an artist, Noir launched his label Noir Music. Fast-forward to 2012 and the label is now established as one of the most successful, credible and forward thinking imprints on the market. Noir Music serves as an outlet for his own productions and showcases some of the best new & established producers from the underground scene such as Solomun, Deetron, Butch, Larse, Danny Daze, Subb-an, Stimming, Tiefschwarz, Laura Jones, Hot Since 82, Gorge and loads more. The label is frequently at the top of the Beatport charts and is supported by some of the industry's top tastemakers such as Seth Troxler, Jamie Jones, DJ T, Laurent Garnier, Joris Voorn, Loco Dice, Richie Hawtin, Carl Cox and Dubfire. In 2011 Noir Music was no. 11 in the overall top 50 of most charted labels on Resident advisor and stays at no. 18 of the all time most charted labels top 20. Noir received the award for "upfront deejay of the year" at the DDJA 2009. In 2010 he received the award for "producer of the year" and in 2011 he was nominated in 5 categories at the DDJA and came out with the high-scorer as the only artist to win 3 awards: "producer of the year", "dj of the year" and "Africanism" for "upfront track of the year". In October 2010 Noir started the now much in demand "Noir Recommends" series from his Noir Music Podcasts (available for free via Soundcloud, iTunes and Podomatic). The Noir Music podcast also includes exclusive mixtapes from some of the industry's leading electronic artists. Today Noir has the most downloaded deep house podcast at Podomatic. Noir is currently working on an album due out in late 2012/early 2013. The album is gonna be a more in-depth electronica-sounding album than his usual club-minded tracks and Noir is collaborating with a long list of talented vocalists to make it more "human" rather than just a compilation of average instrumental club tracks. 1st single from the album was "Around" which features vocals from the talented Haze. "Around" was officially released on June 20th 2011. 2nd single "Found Out" was released on January 16th 2012 and has already gained huge support from some big tastemakers and the public. The expectations are set high on this one as well due to the pre-release buzz. René Kristensen, beter bekend als Noir, komt eindelijk met zijn langverwachte mixcompilatie voor het Engelse Defected label. Dat belooft wat! What a man, what a DJ, what a night! Thank you!